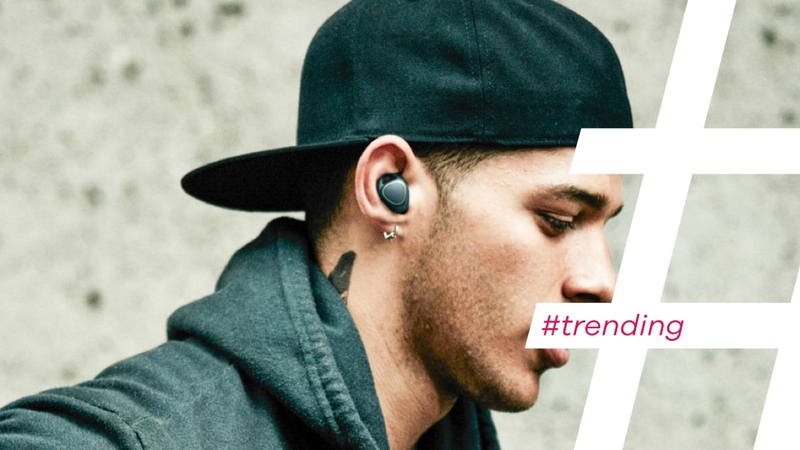 It feels like we've been banging the 'hearables are going to be massive' drum for some time now, and while it has been threatening to break out over the past six to twelve months, two pretty sizeable announcements have surely signalled the next big evolutionary step for wearable tech. First up was Samsung who officially announced its Gear IconX wireless earbuds jam-packed with features. Then Bose, one of the big players in the world of audio, decided to get in on the action and unveiled its SoundSport sports headphones with built-in heart rate monitoring. Plus, the Bragi Dash wireless smart earbuds have finally landed. The rumours continue to swirl that Apple could dramatically revamp its iconic white EarPods and if Apple does, we know what happens after that. Everyone tries to copy them. Unlike watches or fitness trackers, I know most people can't live without headphones. So the idea that they are going to do more than drown the outside world, makes a whole lot of sense. There's really only a few great examples out there of how it should be done. I count the Jabra Sport Pulse, arguably the first proper hearable, as one of those that got it right and I still use them now when I go running. Then there's others that haven't quite got to grips with how hearables should work just yet. Here's our look at who's making an impression for the right and wrong reasons. It's been a long time coming, but we've finally had our hands on the Dash, a pair of truly wireless earbuds that also packs in fitness tracking features, a music player and more. Our review of the Dash recently went live and while it didn't bag a full five out of five score, it was a more pleasing than disappointing experience living with them. We've had to wait a while for the Dash to land, but it looks like they've been worth the wait. With some tweaking of the hardware and the pricing, the Dash could still play its part in the future of hearables. Now this is where things get interesting. Samsung's decision to get in on the hearables game is going to be huge, and while they are not available until later this year, you can expect to hear a lot more about the Gear IconX leading up to the launch. Much like the Dash, these smart earbuds are entirely wireless and have touch controls so you can swipe and tap to control features. There's a built-in heart rate monitor along with an accelerometer to track runs and monitor workout intensity and it's compatible with the likes of Runkeeper and Strava. It also comes with 4GB of onboard storage so you can run to music sans smartphone. Set to be priced cheaper than the Dash, we look forward to getting our hands (and ears) on them. We could be talking about any of the generations of this wearable/hearable mash-up and the same would still apply, this is not the future. At least in our eyes it isn't. We called the TalkBand B1 a terrible device and it didn't get much better with the TalkBand B2. While we wouldn't question the reasonably sleek exterior and the audio quality of the Bluetooth headset built into the fitness tracker body, we're not sure Huawei has really convinced us that we need one. Especially, when it's not the exactly the easiest to yank out to take a call.